Scotts Education Buildings offer schools and nurseries a quick, cost effective and high quality permanent solution to increased space demand. Scotts combines superb architectural design, excellent service and a sustainable mindset to provide the ideal classroom setting for the next generation. Scotts contemporary, carbon efficient timber-framed buildings are designed with children in mind. 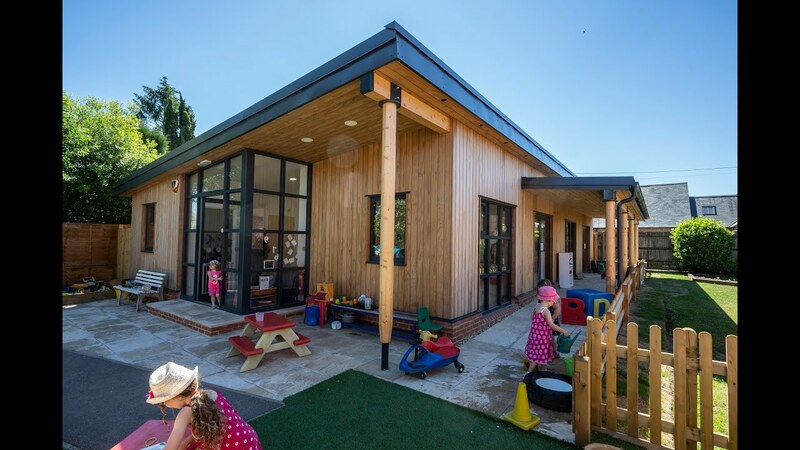 Different materials are chosen to provide texture and interest and great emphasis is placed on creating a good quality environment to improve wellbeing and foster learning. Scotts Education Buildings are designed to provide the ideal learning environment in which children can thrive and achieve their full potential. The Scotts design team gives careful consideration to the specification of every individual education building, from every angle, to create modern learning spaces that meet your budget. Each nursery or classroom building is designed with the specific needs of those who will use it; pupils, teachers and parents. National space standards are applied as a minimum with sufficient space provided for storage, washrooms, entrance lobby and circulation. The accessibility to outdoor space is also a primary design consideration, especially for early years. The design team at Scotts believe that the ideal learning environment begins with a building that inspires and motivates by its architectural form. The positive benefits of a well designed education building should not be overlooked. Scotts Education Buildings are designed to be fascinating, interesting, engaging and tactile. Attention to the ceiling, wall and floor materials and the furniture that goes within the space is crucial to conducive learning. The walls that surround the children, the ceiling that shelters them and the floor upon which they sit and move are all surfaces requiring design consideration. The walls and ceiling of Scotts Education Buildings are painted with non-toxic, VOC free mineral paint, making them environmentally friendly, durable and breathable. In addition, acoustic wall panels are offered in teaching settings that require additional sound absorption. Throughout Scotts education buildings is a combination of two flooring types: slip resistant safety vinyl and natural fibre carpet. Slip resistant safety vinyl is used in areas of high circulation and areas prone to getting wet. Natural fibre carpet is standard in classrooms and nursery reading corners as it is comfortable, reduces airborne dust and allergens and facilitates excellent indoor acoustics. The right amount of light, both artificial and natural is critical. Scotts offers advice on the best orientation and aspect for your education building, and will advise on the most suitable position for doors, windows and roof lights. Timber louvres and blinds will be recommended where needed. The importance of artificial light cannot be overstated in an educational setting. It not only supplements natural light which can be poor, especially in autumn and winter, but also helps to establish the atmosphere within the space. Scotts Education Buildings comply with the latest government guidance. As standard, Scotts uses energy efficient LED light fittings throughout any education building, resulting in lower running costs. Scotts insulates the roof, walls and floor in order to provide a building “envelope” that is efficient to heat and remains cool in the summer. This ensures the building has a low carbon footprint as it is efficient to heat. Conversely, the high levels of insulation also shield the building in the summer months preventing overheating. An environment conducive to learning needs to be heated appropriately. 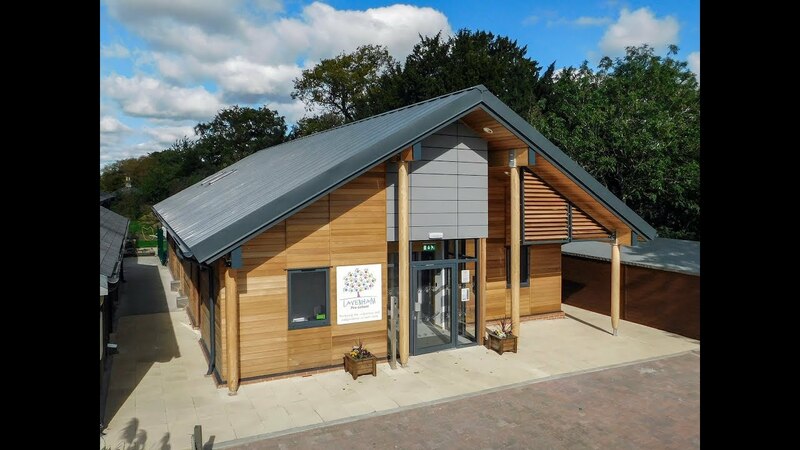 Scotts buildings are heated using a variety of sustainable heating systems, including energy-efficient air source or ground source heat pumps. The heating supply to each space can always be separately controlled using thermostats and zone controls. Similarly, buildings that are not ventilated effectively can become stuffy and unpleasant. Scotts classrooms make use of natural ventilation and cooling to provide thermal comfort and adequate indoor air quality. Trickle vents within doors and windows are standard. Opening windows (on restrictors for safety) at either end of a room promote free flowing ventilation.